A deep cut sweetheart neckline gives this cascading sequin gown a celebrity inspired look. 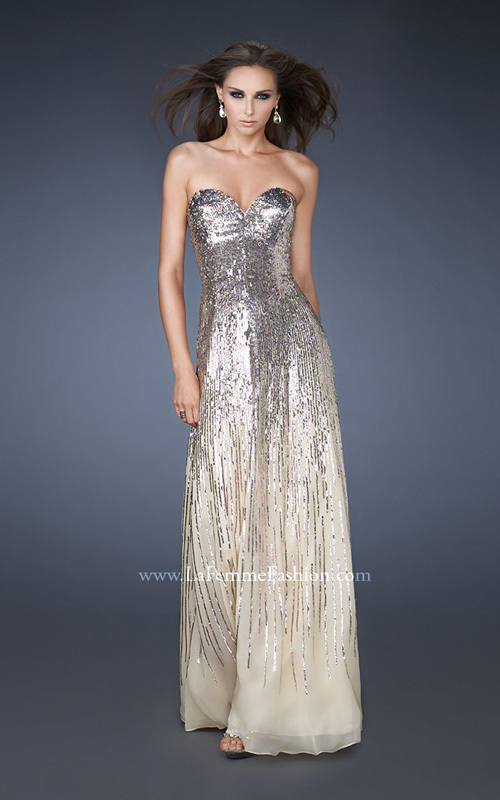 Sequins cover the bodice and slowly fade to the bottom of the floor length skirt. Back zipper closure.